2015 saw a great deal of changes for the long term and post-acute care profession. With these changes came a shift in focus for Care Conversations, an initiative led by AHCA’s Public Education and Communication Committee. These topics were well received online, resulting in record time on the website and above average engagement by consumers on social media. The Public Education and Communication Committee is made up of AHCA members with strategic knowledge of the long term and post-acute care profession. The committee meets monthly to review progress with Care Conversations and discuss new opportunities to help individuals make informed, confident decisions. To learn more, visit the Care Conversations website, stay connected on Facebook, and sign up for the free monthly newsletter. 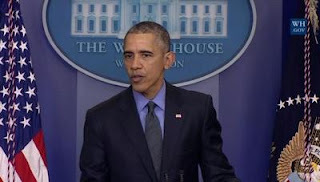 President Obama signed a $1.1 trillion funding and tax bill on Friday that will keep the government funded through September 2016 and extends nearly $700 million in tax breaks. The Senate sent the legislation to the President earlier in the day on a vote of 65-33, after receiving one joint bill from the House, which voted on the funding and tax portions separately. Party leaders on both sides had to work to gain support for final passage of the bill. Though there ended up being resounding support in the House—it passed 316-113, many worried prior to passage of the bill if both sides would be able to keep their rank-and-file in line and avert a government shutdown. 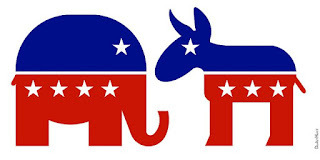 The bipartisan bill included some issues of contention for both parties. Republicans were dissatisfied with overall spending levels while Democrats opined a provision to lift the oil export ban, but overall, many contentious riders that threatened the legislation during drafting were not included. The final signing into law by the president marks the last of legislative business to be settled in 2015. Congress will resume session on January 5, 2016. On December 16, 2015, the US Department of Health and Human Services (HHS) and the Department of the Treasury issued new guidance for states interested in seeking a State Innovation Waiver under section 1332 of the Affordable Care Act (ACA). The guidance provides states with flexibility to pursue innovative waiver proposals while preserving the important protections of the ACA. The guidance focuses on coverage, affordability, comprehensiveness, deficit neutrality, impact of other program changes and funding available to the states. The guidance also explains how the HHS and Treasury Secretaries will evaluate waiver applications, so that states have the information they need as they consider a waiver application. By way of background, 1332 State Innovation Waivers allow states to receive federal funding to implement alternative models of health care coverage that provide high quality, affordable coverage to their residents. In order for a State Innovation Waiver to be approved, a state’s alternative model must provide access to quality health care that is at least as comprehensive and affordable as would be provided absent the waiver; provide coverage to a comparable number of residents as would be provided absent a waiver; and refrain from increasing the federal deficit. To learn more about the guidance go to https://www.cms.gov/Newsroom/MediaReleaseDatabase/Fact-sheets/2015-Fact-sheets-items/2015-12-11.html. Connect Community for Young Professionals: Join Today! At the 2015 AHCA/NCAL convention, we hosted a young professional panel and round table session for individuals in their careers ten years or less. During the panel discussion, participants shared how each of them started in the field and the stories of their first week on the job. The common thread across these stories was the connection to the residents. After the session, the Association developed a place for young professionals to gather—a connected community for this purpose. This community will allow you a place to ask questions like how to handle the demands of the job, how to lead people who are 20 years older than you, or how to deal with finding a work life balance. Each of us has our own story of why we decided to work in long term care. This community can give you a resource to connect with others who share your experiences. In addition, we will be posting items that are of interest. I encourage you to join today! Once you have an account, you can log in to AHCA/NCAL Connect and join our Young Professionals community. Find the Young Professionals Community, click Join and select your notification preferences. We recommend real-time so you don’t miss anything. If you have any issues, click the Contact Us link at the top of the page and one of our staff members will help. Since its launch just two months ago hundreds of people have registered to become part of the ahcancalED community. As we speak, over 170 people are taking the 2016 Silver Criteria Series course in preparation for submitting their applications for the Silver level of the AHCA/NCAL Quality Award program. This is a great example of how AHCANCAL is supporting our members through education. This learning management system hosts a wide variety of educational tools and resources to assist members in their quality journey. Members cite that it is easy to use, has many valuable tools and products and is constantly being updated with new products. Another new and distinctive course was created by the Quality Improvement Committee recognizing that many people want to be proficient in managing business systems such as QAPI. So much of an organization’s success in achieving the Quality Initiative is predicated on their ability to manage systems well. Each of the Quality Initiative goals require the discipline, knowledge and skill of following a systems approach. For many of us, it wasn’t something we learned in business or nursing school. Yet, success lies in knowing how to effectively implement and manage a systems approach. Good news! AHCA/NCAL recognized, based on comments from its members, this critical skill gap and with a band of experts created a course to address the need. It includes case studies, videos, podcasts, worksheets, and a wide array of tools and resources to help follow the process. The course is titled Driving Quality by Operationalizing Business Systems: A Call to Action. ahcancalED is sure to have something that will be of interest to you. Curious about the CJR Rule? We’ve got that! Want to know more about Five-Star? We’ve got that, too! Do You Know Your Discharge to Community Rate and Why it Matters? CMS recently released information for review and comment about a new measure in development—the percent of people admitted to a Skilled Nursing Facility (SNF) from a hospital that are discharged back to the community. CMS plans to add this measure to Nursing Home Compare and Five Star next year. Are you aware of where your center stands on this important metric? You can find data on your performance in comparison to your selected peer groups in LTC Trend Tracker for a similar measure AHCA developed last year. Knowing your rates of individuals discharged back home is important when telling your center’s story about successful post-acute care services to managed care organizations, hospitals, ACOs and family members considering using your SNF. Your ability to demonstrate to prospective clients and their families as well as important network partners that your center is effectively helping patients achieve this goal is important to continuing to attract your desired volume of post-acute patients. Get ahead of the game now by reviewing your data, available exclusively to AHCA members on LTC Trend Tracker! For more information about the importance of your Discharge to Community Rate and how to understand the AHCA measure, visit the Quality Initiative website and LTC trend tracker resource center. Speaker Paul Ryan (R-Wis.) unveiled an extensive spending bill late Tuesday night, in a deal that stripped out many Republican rider hopes but will fund the government deep into 2016. The 2009-page bipartisan compromise provides line-by-line guidance to every agency through September 30, 2016, at which point lawmakers will need to take action to appropriate the remainder of the funds allocated in the current budget. The House is scheduled to vote on the legislation Friday, in accordance with Speaker Ryan’s rule to give lawmakers three days to read the legislation. The GOP also set up another vote on Tuesday on a package of “tax extenders,” which will expire at the end of the year. The tax legislation will likely be a party line vote with Republicans supporting and Democrats opposing. The tax package and the spending proposal will be sent to the Senate as one bill, increasing the likelihood the deal will make it to the President’s desk. The $1.15 trillion package also ends a 40-year ban on exporting crude oil and funds an expired land conservation account but drops more controversial propositions, such as stricter controls on refugees and campaign finance. Congress sent a short-term continuing resolution funding the government until December 22 to the Senate, as current funding expires tonight at midnight. The last day of scheduled legislative work this year is December 18th. 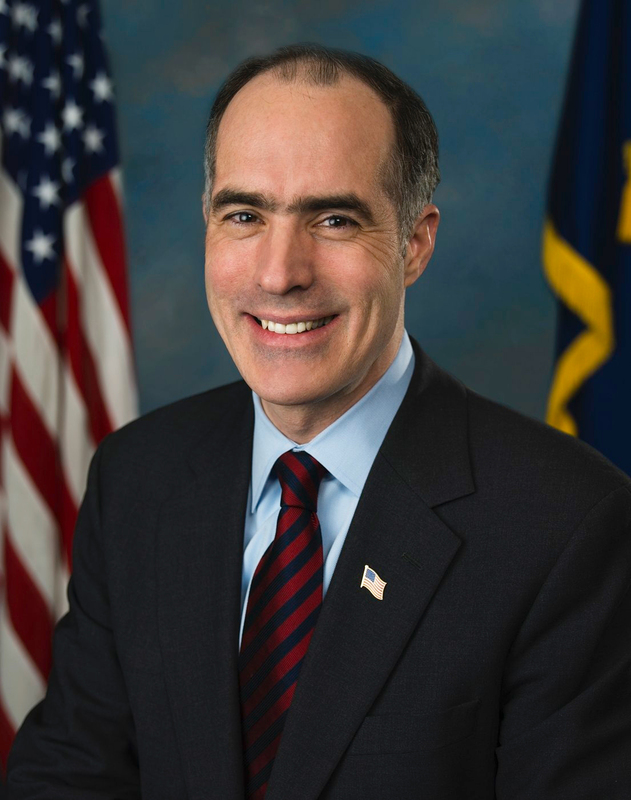 Sen. Bob Casey (D-Penn.) penned an opinion article emphasizing the importance of the work direct care employees do in healthcare facilities across the nation. “Direct care workers also provide a vital service to people with disabilities, allowing them to live more independently,” he continued. The skilled nursing profession across America employ over 1 million direct care workers in over 15 thousand centers nationwide. 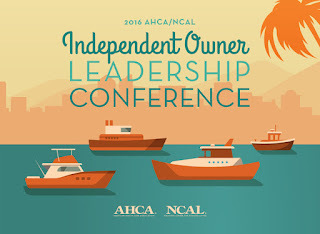 AHCA/NCAL is pleased to announce its sponsorship (and discounted rates for members) to the upcoming American Health Lawyers Association (AHLA), annual Long Term Care and the Law Conference, taking place in Orlando, FL, at the Loews Portofino Bay Hotel, from Monday, February 22 through Wednesday, February 24, 2016. The conference promises to be an exciting and informative meeting where some of the nation’s leading attorneys and professionals including Mark Parkinson, AHCA/NCAL CEO and President, and Scott Tittle NCAL, Executive Director. Speakers in the long term and post-acute care field will be presenting on the legal, compliance, and operational issues facing providers. Sessions will focus on cutting edge issues that are front and center within the LTC and post-acute spectrum and include fraud and abuse, regulatory compliance, HIPAA breaches, labor and employment issues, managed care contracting, emergency preparedness, assisted suicide, and transactions. There will be an individual educational track for nursing facility, assisted living and home health attorneys and providers. Specifically for in-house lawyers, we will have both an assisted living and a skilled nursing facility roundtable session, reserved only for corporate counsel. The Assisted Living In-House General Counsel Roundtable is sponsored by NCAL, on February 22 starting at 7:45 AM. This session is open only to in-house counsel and attendance is limited with advance registration. To view the draft program go to https://www.healthlawyers.org/Events/Programs/2016/Documents/LTC16_draft_grid.pdf. To register go to https://www.healthlawyers.org/Events/Programs/2016/Documents/LTC16_regform.pdf. For more information, contact Dianne De La Mare at ddmare@ahca.org. A new analysis from the Kaiser Family Foundation finds that the average penalty for uninsured people who are eligible for an Affordable Care Act (ACA) marketplace plan will rise to $969 per household – 47 percent higher than the $661 estimated average for 2015. The ACA requires most people to have health coverage or pay a tax penalty. The penalty for 2016 is the greater of two amounts: either a flat dollar amount equal to $695 per adult and $347.50 per child with a $2,085 annual family cap; or 2.5 percent of family income in excess of the 2015 tax filing thresholds ($10,300 for a single person and $20,600 for a family). The individual mandate penalties are capped at amounts equal to the national average premium for a bronze plan – the minimum coverage available under the ACA. For more information about AHCA/NCAL “Member Only” health plan options available through AHCA/NCAL Insurance Solutions, email ahcainsurancesolutions@ahca.org or contact Dave Kyllo (202-898-6312) or Nick Cianci (202-898-2841). Earlier this year, AHCA and nearly 50 national organizations sent a letter of support to the leads sponsors of the Recognize, Assist, Include, Support, and Engage (RAISE) Family Caregivers Act (S. 1719/H.R. 3099). Introduced by Senator Susan Collins (R-ME), Senator Tammy Baldwin (D-WI), Representative Gregg Harper (R-MS-3), and Representative Kathy Castor (D-FL-14), this legislation would implement the federal Commission on Long-Term Care’s bipartisan recommendation that Congress require the development of a national strategy to support family caregivers. The bill would create an advisory body to bring together relevant federal agencies and others from the private and public sectors to advise and make recommendations. The strategy would identify specific actions that government, communities, providers, employers, and others can take to recognize and support family caregivers and be updated annually. On Tuesday, December 8, the full U.S. Senate considered and passed this legislation. It now awaits House consideration. On Monday, December 21, 2015, from 2:00-3:30 PM ET, the Centers for Medicare & Medicaid Services (CMS) will hold a conference call on the implementation of the NOTICE Act. 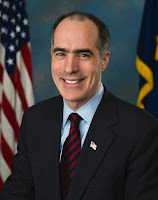 CMS noted in their email that they sent out on this call that on “August 6, 2015, Section 1866(a)(1) of the Social Security Act was amended by Congress to require hospitals and critical access hospitals to provide notification to Medicare beneficiaries receiving observation services as outpatients for more than 24 hours at such hospitals and critical access hospitals.” As noted in previous communications, AHCA/NCAL supports the NOTICE Act, and feels that it is an important step forward. CMS is hosting a TeleTown Hall meeting to solicit input regarding CMS’s implementation of the NOTICE Act requirements. Participants are asked to come prepared to share comments and/or concerns. CMS noted that all viewpoints are welcome and will be taken into consideration as we work through implementation of the NOTICE Act. Please note that CMS will not be responding to questions or comments. To submit your comments via email, please send them to: Notice_Act@cms.hhs.gov (Please note the underscore in the email address: Notice_Act). CMS anticipates a large number of participants, so please dial-in at least 15 minutes prior to the call start time. The 2016 AHCA/NCAL National Quality Award Intent to Apply deadline has passed. Most applicants have likely been working on their application for the past few months; but for those who haven’t started, the time to get started is now! The Quality Award Application portal is now open and accepting applications until the deadline on January 28 at 8 p.m. EST. 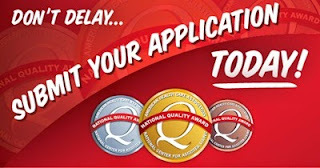 The Quality Award website has a number of resources designed to help member organizations with the application process. Whether you are writing a Bronze, Silver or Gold application this year; there is something for you! Bronze applicants should check out the Bronze Criteria Series. Thisis a series of YouTube videos, 3-7 minutes in length, with each video covering one question of the Bronze criteria. The series is structured so that application teams are able to view each video and write a response to each question, sometimes in less than 30 minutes total! We suggest that centers form an “application team” that views the videos together and then completes the responses to the criteria as a team effort. Applicants who view the Bronze Criteria Series are much more likely to be successful with the award process. 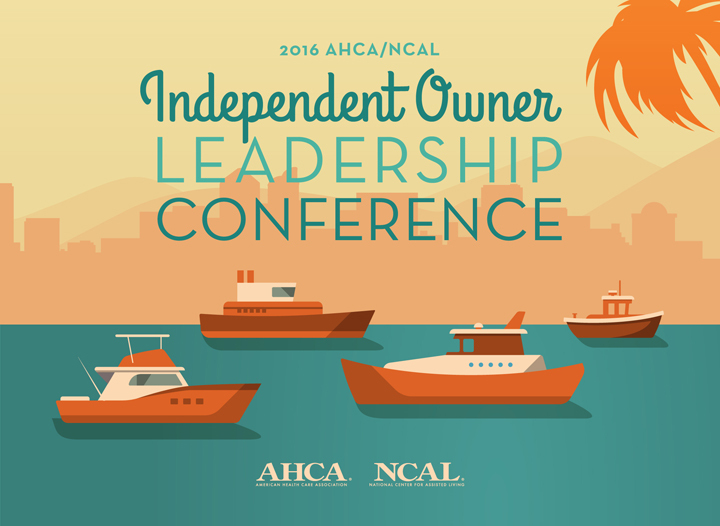 Have You Made Your Plans to Attend the Inaugural AHCA/NCAL Quality Summit? Back for a second year, join us for the Provider Magazine curated series of six, 18-minute talks challenging attendees to Lead, Engage and Discover new topics and ideas designed to be evocative, inspirational, and sometimes unsettling. Come here what LED speakers including Jessica Patterson, Certified Nursing Assistant; Dayne DuVall of the National Certification Board for Alzheimer Care; Phil DuBois of St. Joseph’s College; Cindy Halkola, Activities Director at the Chelsea at Brookfield and others have to share with you about their experiences and insights. Hear from three distinguished and thought-provoking speakers sure to be a highlight of your conference experience: Don Berwick, MD, MPP of the Institute for Healthcare Improvement; Meagan Johnson, generational expert, and Patrick Conway, MD of the Centers for Medicare and Medicaid Services. See and hear compelling success stories from your peer organizations, sharing their journeys in applying the Baldrige Performance Excellence Criteria and the Quality Assurance Performance Improvement (QAPI) approaches to make their centers and communities better places. Learn valuable lessons that you can use and apply to your work back at home. Over twenty concurrent sessions designed to offer valuable, practical learning to help you tackle the challenges your organization faces today and tomorrow and support your efforts to provide the best care possible for those you serve. Our intensives round out your conference experience with four sessions featuring powerful and insightful speakers offering a deep-dive into critical topics including: Enhancing Well-Being for the Person Living with Dementia; Getting Out of the Weeds and Into Action – Your Organization’s Strategy for Success in New Payment Models; Ten Steps to Staff Stability in a Tightening Labor Market; and How to Have the Important Conversations. And of course, networking, networking and more networking! One of the things you tell us is always among the best parts of our meetings, we are making sure you have ample opportunity to connect with your long-time colleagues and to meet new people to share with and learn from. Join us at the AHCA/NCAL Quality Summit – don’t delay, pre-registration closes on January 12th. See you in San Antonio! As a member of the Opis Senior Services Group, Opis Highlands Lake Center for Post-acute, Rehab and Nursing Care in Lakeland, Florida, has long been recognized as one of the state’s leading senior care providers. In striving for total excellence, the Center utilizes an integrated process of performance management and continuous quality improvement. As demonstrated by its receipt of the AHCA/NCAL National Gold Quality Award. The process results in measurable value for customers and stakeholders, enhanced organizational and operational effectiveness, improved communications, sustainability and personal learning opportunities. The journey to winning the Gold Award has been both a satisfying and invaluable learning experience. Begun over four years ago, the process has allowed us to objectively measure our performance against competitors in our marketplace and establish realistic benchmarks for continuous quality improvement. Building on our successes and learning from untapped opportunities revealed by the National Quality Award assessment process, Opis Highlands Lake was able to make steady progress, advancing from an initial Bronze recognition to our current Gold Quality Award level over that time. No less important in these efforts, our organization-wide caring mission, vision of revolutionizing health care and life-affirming core values serve as the unshakable foundation on which the Center’s record of achievement rests. Shared by all departments and embraced by team members at all levels, they inform and guide our unwavering quality commitment – whether in clinical services, personal interaction, or quality of life. In fact, they are at the heart of everything we do each and every day and, we believe, make us unique among our peers. Opis Highlands Lake is truly the “gold standard” in quality senior care and services. In fact, in addition to the AHCA/NCAL National Gold Quality Award, we have also earned the prestigious Florida Governor’s Gold Seal of Excellence Award. Opis Highlands Lake is the only one among 678 centers in the State of Florida to be recognized with both honors in 2015. The success of these efforts are further reflected in Opis Highlands Lake’s ranking among the nation’s top 100 nursing centers in 2014 by U.S. News & World Report; its 5-star rating by the state of Florida; superior CMS evaluation; and perhaps most important, the 99% overall satisfaction level reported by our customers and families alike. Having achieved these highest quality standards and experienced the benefits first hand, we would encourage other providers to take up the challenge. 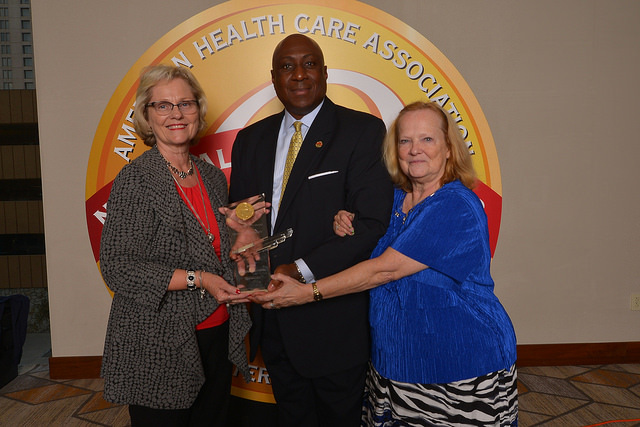 While the AHCA/NCAL National Quality Award process can be demanding and the commitment significant, the rewards are great for everyone involved. Moreover, the need to reach the program’s quality goals grows more important with each passing year… for individual long-term care facilities, the healthcare industry and, of course, all those we serve. Want to achieve and excel at quality performance? Be sure to submit your Quality Award application by 8 pm EST on January 28! Register now for the AHCA/NCAL Inaugural Quality Summit and check one thing off your holiday “to do” list. The deadline to register is January 12, 2016. Get equipped with the information, tools, and resources to achieve your quality, and performance improvement goals for the New Year. The AHCA/NCAL Quality Summit will be held February 9-11, 2016 in San Antonio, Texas. AHCA/NCAL would like to that our event sponsors. For complete details about the Quality Summit, go online. Earlier this year the Department of Health and Human Services (HHS) set explicit goals aimed at moving Medicare reimbursement away from the current fee-for-service program and into value-based programs. By 2016, HHS expects that 85 percent of Medicare payments will be made through alternative payment models (APMs), such as bundled payments, or tied to quality through other value-based purchasing programs. In 2018, that number jumps to 90 percent. Health information technology will be key for providers who wish to participate and succeed in this new environment. Independent Owners will need to think differently about their own internal operation and strategy for succeeding in the future state of health care, and they will need to prioritize technology solutions. In this webinar, presented by American HealthTech, we will examine the unique role of independent owners and how they can leverage technology to position themselves to be the high-value preferred partner of choice in their market. We will also discuss the increasingly vital role quality measurement will play, and how providers can make improvements in their data capture and analysis to prove their value to potential partners. We will make the argument that independent owners need to be prioritizing their technology strategy right now if they wish to keep up with the rest of the health care market. · Walk away with tactics and strategies to improve data capture and analysis that they can implement in their own organizations. This year’s Independent Owner Leadership Conference (March 16-18, 2016) promises to be better than ever with all the networking opportunities you love and educational sessions you need. Discuss all the challenges you and your fellow IOs face, and take home the innovative strategies and valuable leadership tools you seek. 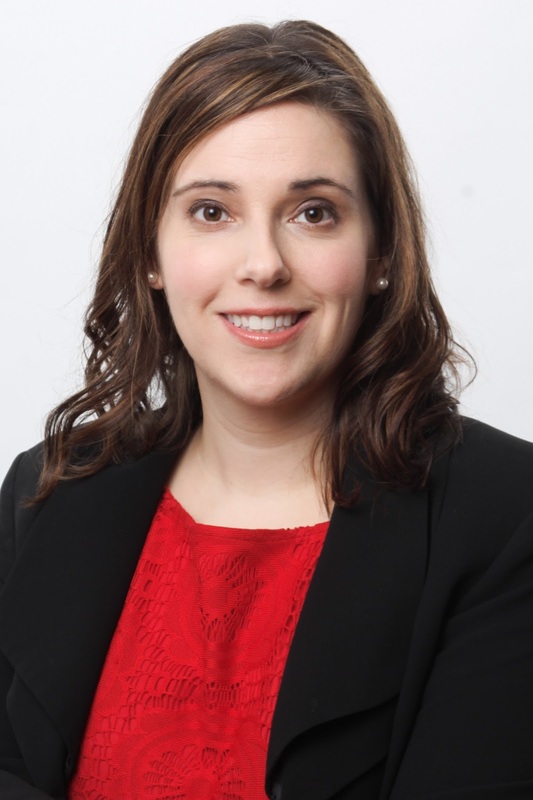 The Hartford's Millenial Workplace Expert and New York Times bestselling author will deliver actionable strategies to effectively manage cross-generational challenges and harness the power and potential of millennial employees. Physician and 2013 Bostonian of the Year by The Boston Globe, Dr. Stavas uses medical expertise and personal experiences, from her upbringing on a Nebraska farm to the Boston terrorist attacks, to provide fascinating and constructive insight on the importance of altruism and strategies for conquering fear and finding meaning in a chaotic world. · Customer Satisfaction: Is It Hurting or Helping Your Business? The deadline is February 17, 2016. See the complete agenda and register today! House Republicans are considering a one-week continuing resolution to fund the government past this week in the face of Democratic opposition to the currently proposed omnibus spending legislation. The stop-gap legislation would fund the government past the December 11th deadline to avert a government shutdown and allow lawmakers more time to come to an agreement on a larger spending package. Democrats are pushing for a so-called “clean” omnibus spending package, which would fully fund the government through next year, devoid of non-funding related policy riders. Some Republicans would like to see the omnibus advance several other contentious policies, ranging from checks on refugees to campaign finance to e-cigarette regulation. Democrats have thus far not agreed to any short term funding legislation and see a clean omnibus bill as the best way to avert the December 11th shutdown date. Some Republicans even floated the idea of a six-week extension of current funding levels to give lawmakers more time for negotiations, a plan that White House spokesman Josh Earnest said the President would not endorse. Both chambers last week passed a bipartisan, multi-year extension of highway funding, leaving government funding and tax extenders the last two major legislative hurdles of 2015. Lawmakers are set to adjourn for the year on December 18th, resuming legislative business in 2016. If you are an applicable large employer ,you are subject to the Affordable Care Act information reporting requirements. The deadline for the first of these new reporting requirements is February 1, 2016. Forms 1095-C must be provided to employees by February 1, 2016. Forms 1094-C and 1095-C are due to the IRS by February 29, 2016, if filing on paper, or March 31, 2016, if filing electronically. The IRS has developed instructions for completing these forms. For more information about health plan options available through AHCA/NCAL Insurance Solutions, email ahcainsurancesolutions@ahca.org. The complete recertification policy and Frequently Asked Questions are available on the Quality Award website. It is important to note that all recipients who achieved their awards in or before 2014 have until 2017 to apply to the next level award. The purpose of the policy is to maintain the integrity of the program, embrace new standards of care, and promote continued growth of member organizations on the quality journey. It’s that time of year. Time to complete annual reviews, finalize budgets, and prepare and submit your Quality Award application! The Quality Award Application portal is now open and accepting applications until the deadline on January 28 at 8 p.m. EST. Application packets are available on the Bronze, Silver and Gold Award pages. The Silver Criteria Series, ten videos to help Silver applicants understand the criteria and apply it to their organization. House Democrats today rejected a Republican offer to fix the largest outstanding government spending issues left in 2015. The omnibus spending bill proposed by Speaker of the House Paul Ryan (R-Ohio) and his party is reportedly shot down by Democrats primarily because of policy riders attached to the offer. The deal was "not serious and unacceptable,” according to a spokesman for Rep. Nita Lowey (D- N.Y.), the ranking Democrat on the House Appropriations Committee. “It’s miles from something that would attract Democratic support,”he said. The deal aims to appropriate the funds designated by the recently agreed-upon budget deal struck between both parties in the wake of the-Speaker John Boehner’s retirement. Lawmakers are running out of time to come to a decision on how to appropriate funds budgeted for the next fiscal year. The current continuing resolution gives Members of Congress until December 11th to come up with a solution to avoid a government shutdown. Republicans are also pursuing an alternative budget strategy known as reconciliation, a byzantine budget process which limits debate and the breath of amendments that can be offered, effectively creating a 51-vote threshold to pass the Senate. While many expect the legislation to garner enough Republican support to pass both chambers, changes to the Affordable Care Act and other Democratic priorities have been met with a veto threat from the White House. Omnibus spending legislation is the most obvious route for both parties to find compromise and avert a shutdown, as Republicans do not have enough votes within their party to overcome a Presidential veto. Majority Leader Kevin McCarthy (R-Calif.) hinted earlier this week that a week-long continuing resolution could be passed in order to give lawmakers more time to reach a deal. The 2016 AHCA/NCAL National Quality Award Intent to Apply deadline has just passed. Most applicants have likely been working on their application for the past few months; but for those who haven’t started, the time to get started is now! If you need a jump start, than you have come to the right place. The Quality Award website has a number of resources designed to help facilities with the application process. Whether you are writing a Bronze, Silver or Gold application this year; there is something for you! Bronze applicants should check out the Bronze Criteria Series. The Bronze Criteria Series is a series of YouTube videos, 3-7 minutes in length, with each video covering one question of the Bronze criteria. The series is structured so that application teams are able to view each video and write a response to each question, sometimes in less than 30 minutes total! We suggest that centers form an “application team” that views the videos together and then completes the responses to the criteria as a team effort. Applicants who view the Bronze Criteria Series are much more likely to be successful with the award process. Following the popularity of the Bronze Criteria Series, AHCA/NCAL has released a brand new Silver Criteria Series for the 2016 application cycle. The series starts with an introduction of the program and a webinar on the Silver evaluation process. Eight additional webinars follow, covering each section of the Silver Criteria, from the Organizational Profile through Categories 1-7. Each video provides an explanation of the criteria and questions to help applicants through the process. As with Bronze, we suggest that centers form an “application team” that views the videos together and then completes the responses to the criteria as a team effort. Gold applicants should view the AHCA/NCAL Management Series. The AHCA/NCAL Management Series is a sequence of videos, or seminars, each covering a category of the Baldrige Criteria. This series was developed to help any facility develop a comprehensive and robust management system. For Gold, the series also provides insight from Baldrige experts across the Organization Profile as well as across each criteria category. As an additional benefit, all of these webinar series will also fulfil your educational requirement for the program! According to a November 30, 2015, article by Emily Mongan of McKnight’s, the Centers for Medicare & Medicaid Services (CMS) is “seeking input on a section of its two-midnight policy that would cut inpatient payments to hospitals, after a judge ruled the cuts need to be better justified. CMS' request for comment follows a September ruling by a federal judge that required the Department of Health and Human Services [HHS] to reopen a portion of the two-midnight rule that would cut 0.2% from hospital inpatient payments. HHS Secretary Sylvia M. Burwell stated the cuts would help offset the estimated $220 million it would cost to move patients from outpatient to inpatient status under the two-midnight rule; hospitals objected, saying the cuts were unnecessary.” The comment deadline is 5pm EST on February 2, 2016, and the final notice will be published by CMS by March 18, 2016. More details about commenting can be found here in the Federal Register. In a November 22, 2015, article in Senior Housing News entitled, “Financing Without Fear: Program Expands Senior Housing Lending Options,” author Amy Baxter stated, “Would you convert senior housing units into assisted living, if doing so would lead to refinancing problems down the line?" Previously, some providers faced this choice in the past. But all that has changed, due to new rules under a U.S. Department of Housing and Urban Development (HUD) program. The Assisted Living Conversion Program (ALCP) provides grants to nonprofit owners to convert a portion of their units into an assisted living facility. Previously, properties that received ALCP grants were blocked from using FHA mortgage insurance through HUD’s Sec. 223(f) and Sec. 221(d)(4) programs. "Lenders can now tap into these HUD programs to refinance or rehabilitate properties that have undergone a conversion through ALCP, so long as less than 75% of its units and residents receive assisted living services. They no longer have to fear that if they utilize ALCP to expand assisted living, future renovations or refinancings on the property will have to be financed through non-HUD channels." To read the full article, please click here. In addition, more on the ALCP can be found on the HUD website, and in this Lancaster Pollard article by Ryan Miles. On November 18, the U.S. Senate Commerce Committee considered and passed by voice vote S. 1916, the Rural Health Care Connectivity Act of 2015. The Rural Health Care Co​nnectivity Act of 2015 would amend the Communications Act to permit skilled nursing facilities to apply for support from the Universal Service Fund’s Rural Health Care Program (RHCP). The RHCP provides funding for telecommunications and broadband services used to provide health care in rural areas and communities. S. 1916 specifies that skilled nursing facilities be included in the definition of health care providers that are eligible to receive RHCP support. By FCC interpretation, skilled nursing facilities are currently not eligible to receive these funds. The Rural Health Care Connectivity Act of 2015 would help AHCA members provide enhanced care and services for patients and residents in rural areas throughout the country.​ An AHCA press release on this legislation from earlier this year can be found here. On November 19, Rep. Leonard Lance (R-NJ-7), Rep. Kevin Cramer (R-ND-At Large) and Rep. David Loebsack (D-IA-2) introduced companion legislation, the Rural Health Care Connectivity Act of 2015 (H.R. 4111), in the U.S. House of Representatives. The legislation has been referred to the House Committee on Energy and Commerce. AHCA will keep its members apprised of any updates relating to this important Senate and House legislation.